One hundred years ago in 1910, Wisconsin was able to stake its claim as the most progressive state in the nation. The election for Governor and for the State Legislature that year -- following the Governorship and election to the U.S. Senate in 1906 of Robert Marion La Follette, Sr. -- would usher in a period in which state political and social reform would reach its zenith and flower in its full glory. And it would be accomplished with a purpose and speed that would amaze all who observed it. Today in 2010, a century later, Wisconsin stands at another critical junction and the path that the next Governor and State Legislature takes during and after the upcoming elections will help to determine whether our great state -- which U.S. Supreme Court Justice Louis Brandeis called the nation’s “laboratory of democracy”-- will steer toward an new era of urgently needed political reform. Or, will we revert back to another “Robber Baron Age” that characterized Wisconsin in the 1890’s when corporations (then, chiefly railroads) and the political bosses they funded, bankrolled state elections and controlled the Governorship and the Wisconsin Legislature while the voices of ordinary Wisconsin citizens were shut out and ignored. Today, reformers in Wisconsin are fighting to protect many of the reforms that date back to the state’s “Progressive Era” of a century ago as well as political reforms won and enacted recently. such as the “Impartial Justice” Law of 2009 that will provide full public financing to candidates for the Wisconsin Supreme Court who agree to limit their campaign spending to $400,000. This was the most significant political reform enacted into law in Wisconsin since the 1970’s. Now, powerful corporate and out-of-state special interest groups are trying to scale back and even block this reform from becoming effective next year when the next State Supreme Court election will occur. Reform is under assault now, as it was in 1910. By 1910, Wisconsin had already undergone a period of political reform under Governor Fighting Bob” La Follette (1901-1906) and his successor, Progressive Republican James Ole Davidson (1906-1911) as they ignited an era of progress and reform in the state that served as an inspiration for the nation. During that first decade of the 20th Century, the Progressive Republicans established primary elections in the state to break the control of political bosses who hand-picked candidates. They brought the all-powerful railroads under some state regulation as well as the public utilities, telegraph, telephone, electricity, water companies, and the insurance industry. Corporations were prohibited from using their general treasury funds to influence state elections, a monumental reform that stood and protected the citizens of Wisconsin until the U.S. Supreme Court overturned the prohibition at the federal – and by extension, the state level earlier this year. Bob La Follette’s sometimes cantankerous and self-righteous personality, as well as his proposals, made him many political enemies and much of the Progressive reform agenda was blocked in the Legislature and elsewhere during his tenure and during that that of Governor Davidson’s. The election of campaign of 1910 would determine in what direction Wisconsin would go. The anti-reform conservative or “stalwart” Republicans united behind State Senator Edward T. Fairchild of Milwaukee as their candidate for Governor, determined to stop and rollback the progressive reforms and regulations of the previous decade. The Stalwarts amassed a campaign war chest of $114,000 – an enormous amount of money for political campaigns in those days. The Progressive Republican mantle was bestowed upon Francis E. McGovern, a former Milwaukee County District Attorney and failed candidate for the U.S. Senate in 1908. The Republican Primary in 1910 would, in effect, decide the Governorship of Wisconsin because the Democratic Party was very weak back then. Wisconsin was essentially a one-party state and the “real” election was between the Progressives and the Stalwarts. In a hard fought campaign and despite the monetary advantage of the anti-reform conservatives, McGovern emerged triumphant in the Republican Primary and easily prevailed in the General Election. Governor McGovern then went on to lead the Wisconsin Legislature in enacting sweeping reforms beginning in 1911 and compiled a record of achievement greater than that of the great La Follette. During his first term, much of the Progressive program was finally realized, including stronger railroad regulation, legislation to establish a state income tax program, worker's compensation, regulation of child and women's labor, the encouragement of co-operatives, and the curtailment of corrupt political practices. Francis McGovern deserves a more prominent place in Wisconsin’s history as the reformer who got real results. La Follette was the reform visionary but McGovern was the achiever. And what will happen one hundred years later? In what direction will Wisconsin go? Already, darks clouds have formed overhead in the wake of the misguided and hypocritical U.S. Supreme Court decision in Citizens United vs. F.E.C. this past January. Reversing century-old federal and state prohibitions on corporate treasury money influencing elections will result in a flood of special interest dollars attempting to influence voters this Fall. 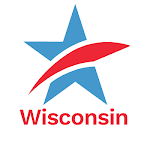 Reformers are fighting to preserve new disclosure requirements for corporate and union campaign spending that were recently put into effect by the Wisconsin Government Accountability Board. And in 2011, Wisconsin’s next Governor (who will emerge in a nasty negative election we project may reach a record $50 million in spending) and the new Wisconsin Legislature will continue to incessantly hear the call for public financing of all state elections, strong special interest spending disclosure, reform of the currently disgraceful and secretive process in which the Wisconsin Legislature redraws the boundaries of legislative and congressional districts following the Census every ten years, reforming the long-drawn out and secretive and special interest money soaked state budget process and other needed political reforms. We need better open meetings laws and we need to make the next Governor and the next Legislature more accountable and responsive to the citizens of Wisconsin and less influenced and beholden to powerful, well-funded special interest groups. At this critical point in Wisconsin’s history, citizens need to demand protection for the reforms that have been enacted in Wisconsin in recent years as well as those that Governors La Follette, Davidson and McGovern engineered a century ago. Let’s keep Wisconsin moving “forward” as our state motto encourages us to do. Moving forward means protecting and preserving the political reforms of the last 100 years so that we can progress even more in the century ahead. Jay Heck is the executive of Common Cause in Wisconsin, the state’s largest non-partisan citizens reform advocacy organization. Their website is www.commoncausewisconsin.org and his e-mail address is ccwisjwh@itis.com. For more information call 608/256-2686. In 2010 as in 1910 - Reform is on the Line in WisconsinTweet this!